What did you do the year you turned 21 Hip-hop prodigy Fashawn earned a spot on the cover of XXL magazine, toured the world and built a rep as one of rap's new rising stars. Fashawn's debut album, "Boys Meets World,' was heralded by critics and fans alike as one of the best albums of 2009 for it's gritty, street-wise and intelligent rhymes. Some even compared his introductory opus to Nas' brilliant "Illmatic." It was enough for XXL to name Fashawn to it's list of hip-hop's best freshman. 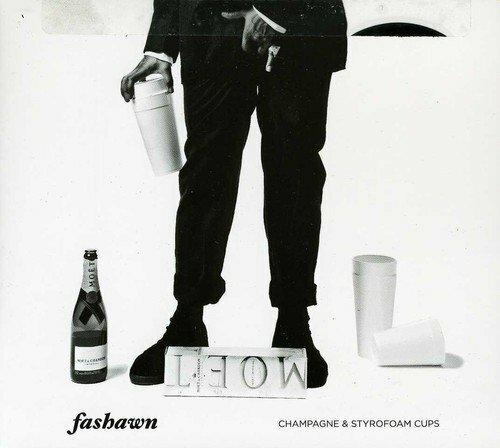 Fast forward to 2012 and over 200 shows and 2 mixtapes later Fashawn is back in full effect with his latest release "Champagne and Styrofoam Cups." Featuring Taylor Gangs Wiz Khalifa, MFN MR. eXquire, Kobe, K Young, Chevy Woods and more Champagne and Styrofoam Cups is considered a top release in 2012. Working with Boy Meets World producer Exile, Fashawn also called upon hip hops next generation of producers in DJ Dahi (Kendrick Lamar, Dom Kennedy), Rahki (Eminem, 50 Cent) and classic west coast producers Jake One and Hecktik. In 2012 he also released an album with West Coast indie hip hop legend Murs from the legendary Living Legends group. "This Generation" was released in September 2012 and has climbed the indie hip hop charts as one of the best group albums of the year. 2013 looks as a very promising year as his follow up album to "Boy Meets World" titled "The Ecology" produced entirely by DJ Exile is scheduled to release.